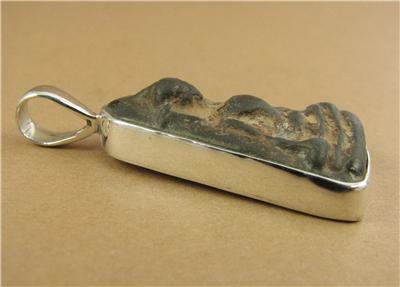 Home › Thai Buddha pendant. Clay set in sterling silver. Handmade. 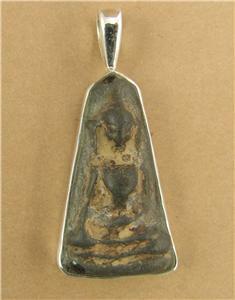 Thai Buddha pendant. Clay set in sterling silver. Handmade. 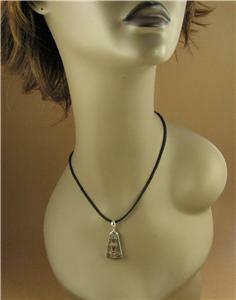 This is a clay Buddha pendant, set in sterling silver. The Buddha has been made by the monks in the buddhist monasteries in Thailand. The clay used is from the grounds of the monastery where the monks practise their walking meditation. After being formed it is baked, so it becomes very hard. 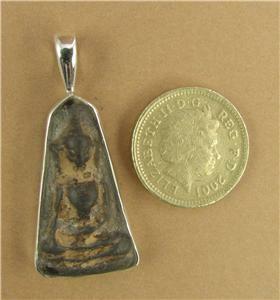 I bought this Buddha in Thailand and then took it to a silver workshop to have it set in sterling silver. 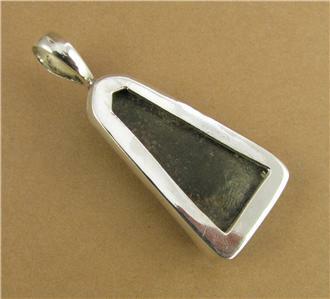 I will send the pendant on an adjustable length of sturdy black cotton cord. The loop at the top of the pendant is big enough for a standard silver chain to fit through. 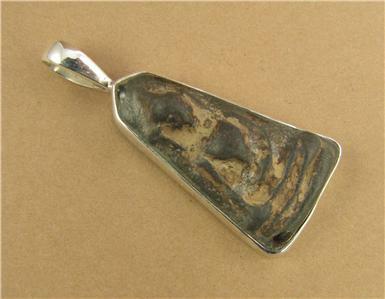 From the top of the hoop, the pendant is 4.5cm long.